"The concept of unconditional respect for the planet and all living things, is so central to the philosophy of the Soil Association." 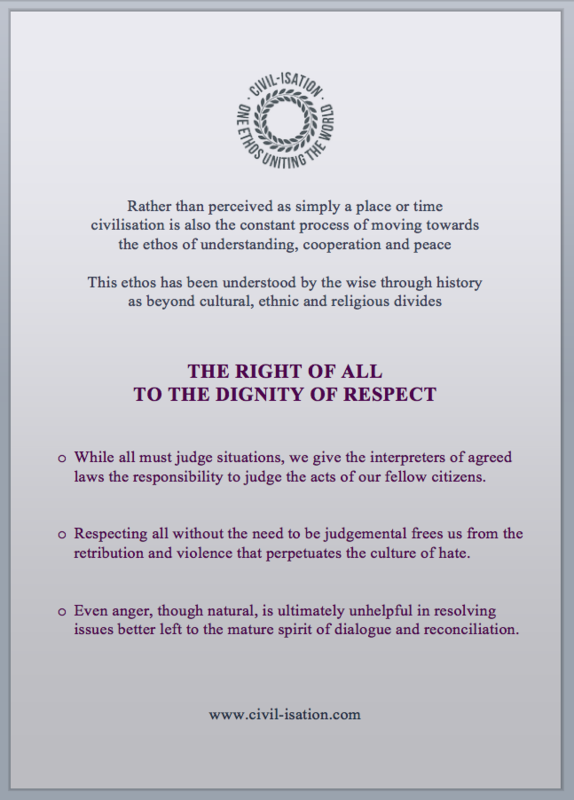 "Totally agree with Civil-isation and wish it success promoting respect, equality and peace." "As a young person who continues to see and experience the struggle we are in and the 'mess' that has been made, it was hugely reassuring and inspiring to discover Civil-Isation. The ethos resonated immediately and I truly believe working within a group that promotes Peace, Respect and Collaboration is the way forward." 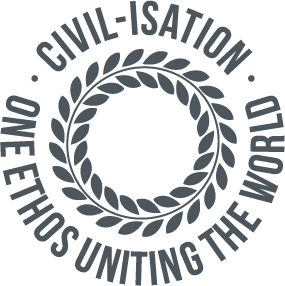 "Join us to create a civil–isation in which we love ourselves, others and our planet." "I've come to realise that it's less about man's relationship with the environment as a matter of man's relationship with man." "In respecting the statements of parties to conflict, peace journalism urges reporters not to take them at face value but on their merits. That means everyone is allowed to have a vision of peace, and dialogue can be promoted about the match or mismatch between ends and means."